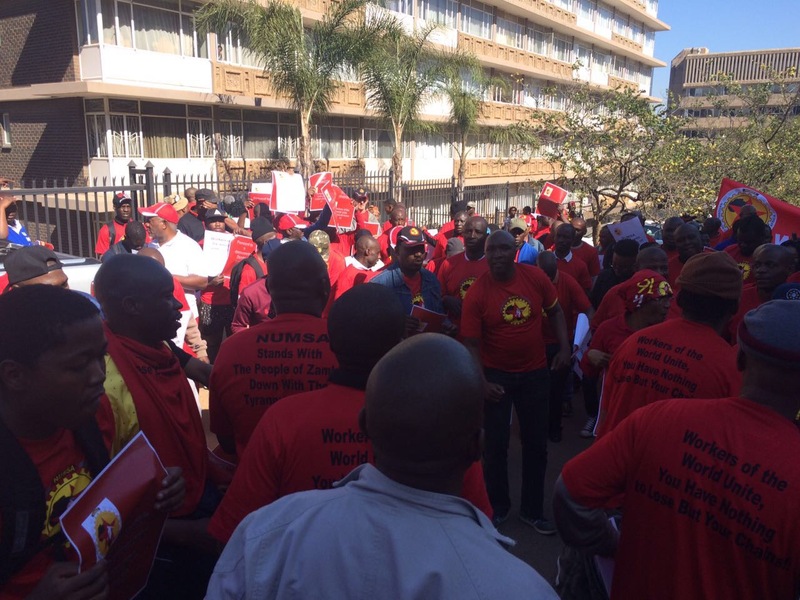 Led by the National Union of Metalworkers of South Africa (NUMSA), South Africans this morning held protests at Zambia’s High Commission in Pretoria and condemned Edgar Lungu’s declaration of the state of emergency. 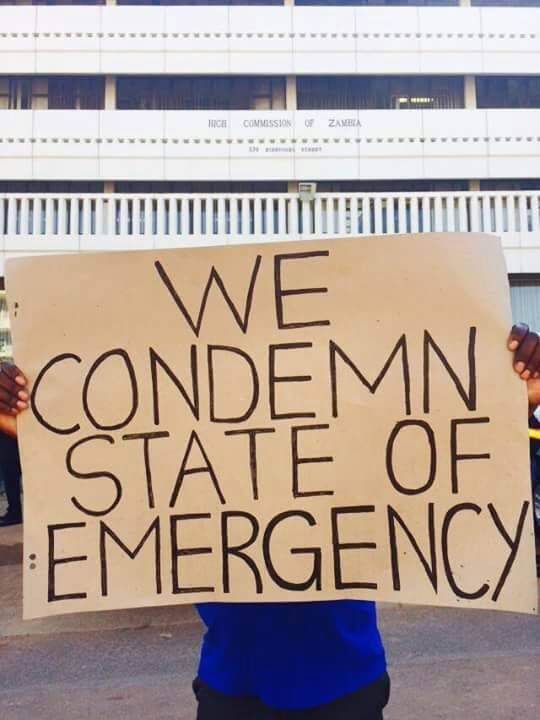 The protesting South Africans noted that state of Emergency is meant to further clamp down on the country’s opposing views. Zambia’s High Commissioner to South Africa Emmanuel Mwamba was booed when he claimed that he was the president of Zambia but based in South Africa. Acting NUMSA spokesperson Phakamile Hlubi accused Edgar Lungu of using the recent City Market fire incident as justification for his increased authoritarian rule on Zambia. “It seems Lungu is using the fire as a justification for increased authoritarian rule. The nation, which was once famous for providing refuge to South Africans, who were escaping the tyranny of the Apartheid government, is now in the clutches of tyranny. 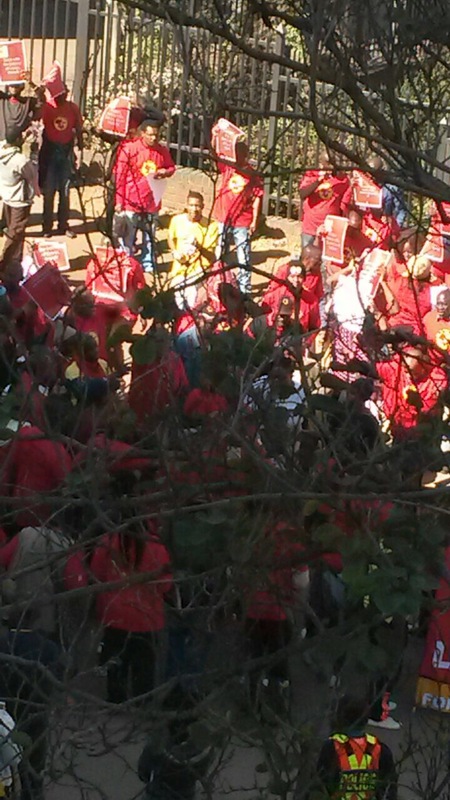 NUMSA condemns Edgar Lungu’s call for a state of emergency, Hlubi said. 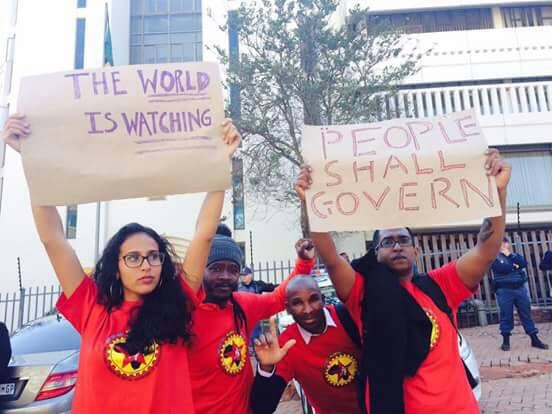 She said NUMSA would not sit back and watch the Zambian government behave like the Apartheid regime of old South Africa. “We cannot stand back when the current Zambian government behaves like the Apartheid government and continues to violate basic human rights. We owe a huge debt to the people of Zambia for the sacrifices they made for the liberation movement in our country. And now that they are in need, we will stand in solidarity with them,” said Hlubi. But Mwamba after claiming that he is the president of Zambia said if there was anything wrong in Zambia, the Zambia labour movement would have protested. He he said no single flight has been cancelled or bank closed. To watch video of Mwamba saying he is president, go to our Facebook page.